For LG Shawl to Sweater size projects or several small projects. Colors may vary from screen to screen. Fabric Placement may vary from photo. This bag can be used for all your special projects, to keep them safe and secure. This bag is made from high-quality fabric to suit all your needs. 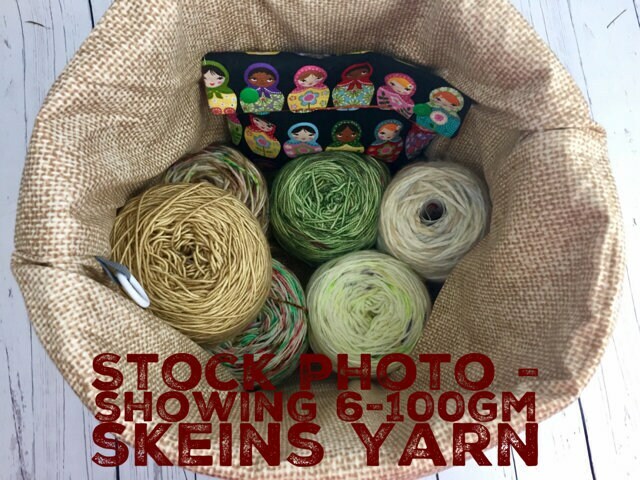 This bag is roomy with a boxed bottom and will be great for any project and accessories that you may have. 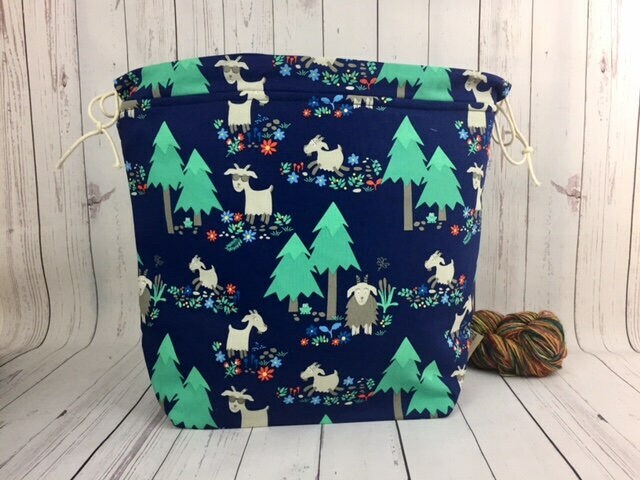 This bag will hold multiple balls of yarn and your project too! The bag closes with a drawstring to secure your projects. -- Leather Handle . I have reinforced the handle multiple times to the bag. 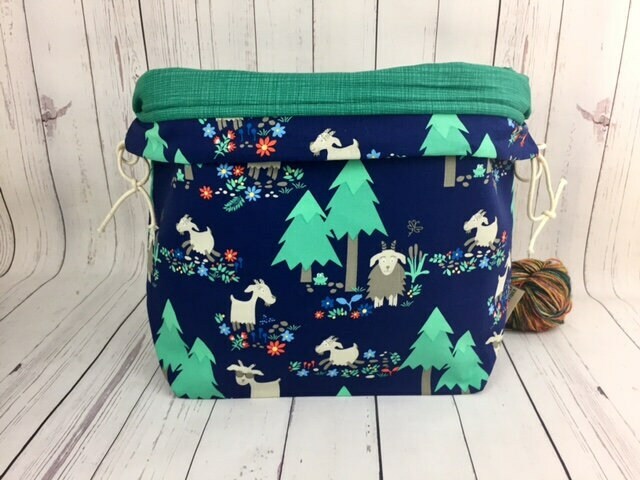 --Bag is lined with a fluffy soft fleece interfacing to secure your projects and keep them safe. --Stitch marker fob with plastic ring sewn into the inside of each bag. 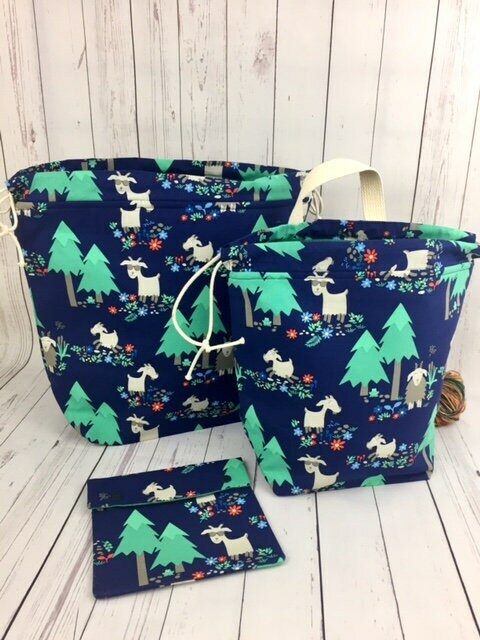 I can also make a coordinating notions pouch, circular needle holder, or any of my other items in this print if you are interested in a matching set. I usually have a lot of each fabric. Please send me a message if you would like any other items made from this print and I will let you know if I have the fabric to do so. All of my products are made by me in a smoke-free home. This may ship Folded to save on postage. Please message me with any questions you may have about this bag or any of my other items.